Home » Articles » Confidentiality clauses – why insurers love them, and why they should be abolished. Confidentiality clauses – why insurers love them, and why they should be abolished. Most of my cases settle, often at mediation. Typically the insurer will bring a “standard” form of release to the mediation for my client to sign. If not, when the insurance company’s lawyer sends me the cheque it will be accompanied by a form of release which my client must sign in order to receive the settlement funds. In either case, the release will always contains something not usually discussed – a confidentiality clause. 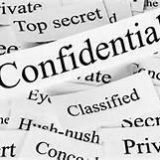 A confidentiality clause seeks to prohibit the parties to a settlement from disclosing the settlement terms and sometimes more. Confidentiality raises numerous problems. It can be bad for clients, bad for lawyers, and bad for the legal system. Clients often object to confidentiality because they are frustrated and angry about what has happened to them and what the insurance company did. Insurers always want confidentiality, often because of the feared perception of guilt that accompanies a settlement. The secrecy itself may be adverse to public policy and protection of the public – it can allow wrongful conduct to continue. Confidentiality prevents the public from knowing about wrongful conduct. It can also prevent regulators and government agencies from performing their duty to enforce the law and protect the public. The role of the court is to evenly administer justice to all, so that all are protected by the law. When violations are hidden by confidentiality, the legal system itself is thwarted from fulfilling one of its fundamental purposes – to protect the public from wrongful conduct. Equally important is the fact that the legal system is funded by the public. The use of government employees, monies, and buildings entitles the public to openness in all aspects of the legal process, including settlements that are achieved through use of the legal system. Society itself might be better off if all settlements were public knowledge. Wrongful conduct would be exposed not just for the economic justice of the client, but for the broader societal purpose of curbing such wrongful conduct. Lawmakers and the public can see where problems exist, both in products and service suppliers, and act appropriately. The conduct of insurance companies is governed by laws and regulations. It is likely contrary to public policy to require confidentiality of facts that may disclose the violation of laws and regulations governing the insurer’s conduct. It is routine for the confidentiality clause to permit the settlement amount to be disclosed to tax preparers, accountants, and legal or financial advisors. Not so routine, although perhaps it should be, is a carve-out that allows a client to reveal facts from the underlying claim to industry regulators. Moreover, the legal system does not belong to any industry, certainly not the insurance industry. It belongs to the public. Courts function best in the daylight of an open, transparent administration of justice. Otherwise, people cannot observe and understand what is going on and how the courts protect everyone by their fair administration of justice. Secrecy protects repeat offenders and harms everyone else. Openness is consistent with basic principles of the rule of law. Secrecy in settlements also hurts lawyers. A lawyer cannot place a fair and reasonable value on a case when the lawyer cannot compare it to other known cases. It is particularly harmful to inexperienced lawyers who may be most prone to undervaluing a case. The secrecy allows insurance companies, with their vast resources, to assess a claim’s fair value, while preventing many clients from doing the same. Confidentiality does not actually promote settlement. The vast majority of cases already are settled without trial. Fundamentally, the settlement of a lawsuit should be a public proceeding, just as a trial is a public proceeding. It is time for our governments to specifically limit the use of confidentiality clauses in the settlement of lawsuits involving wrongful conduct by insurance companies. This should be done for the protection of the public, to improve the industry, and to preserve the effectiveness and integrity of our legal system.